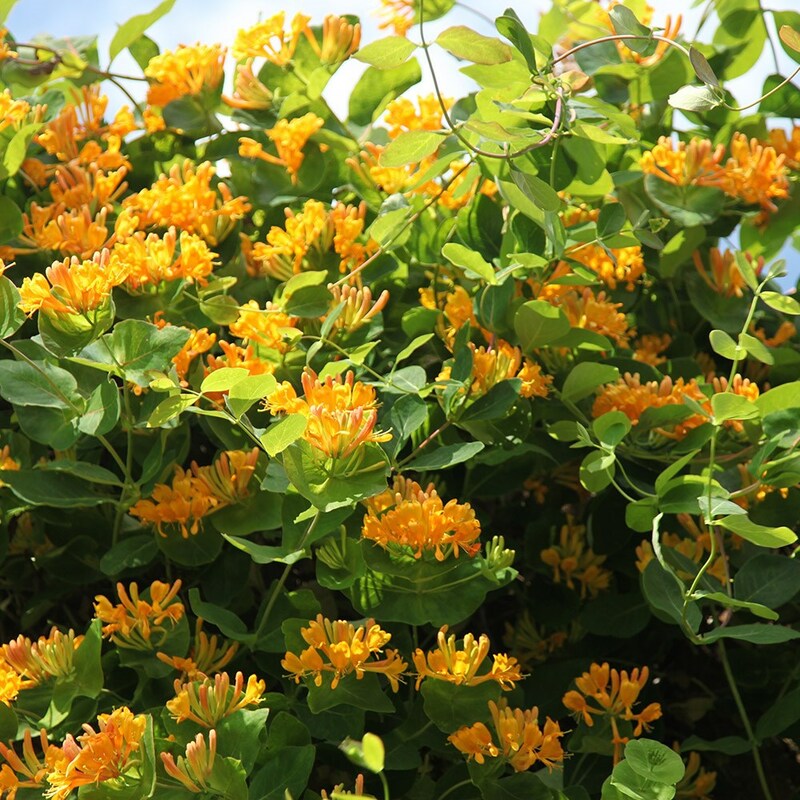 Bright, tubular unscented flowers are the colour of burnt amber and flushed red in bud, smother this honeysuckle from May to July. This gorgeous, deciduous climber looks lovely as the backdrop for a planting scheme based on 'hot' colours. 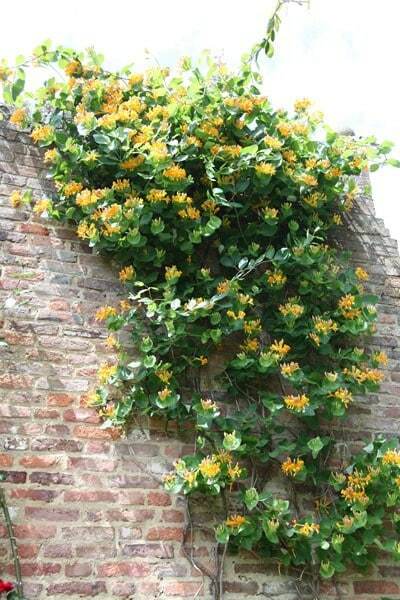 One of the most unusual honeysuckles, it flowers best on a south-west wall in full sun to light shade with its roots in deep shade. Can this br planted in a big pot? Hello there No this honeysuckle doesn't have scented flowers. Hope this helps.